Colony BMX updated their Eclipse 24 with a sweet looking colorway for 2018: metal red. Spec/geo-wise, it’s pretty much the same setup as previous iterations. With a steeper-than-most head angle, high bottom bracket and short rear stays…this is a great 24 if you’re more street-oriented in your riding (or just prefer a quicker steering bike). Did I mention I’m digging the metal rad colorway? We got a peek at it last month but now we have the chance to take a closer look. As promised, the Eclipse 24 features full cro-mo frame, fork, cranks and bars. Everything is sealed and the wheels are double-walled. According to Colony, they based this cruiser off their Premise complete bike, just scaled everything up (which is reminiscent of how Sunday developed the Model-C…taking features from their popular 20s and scaling them up). 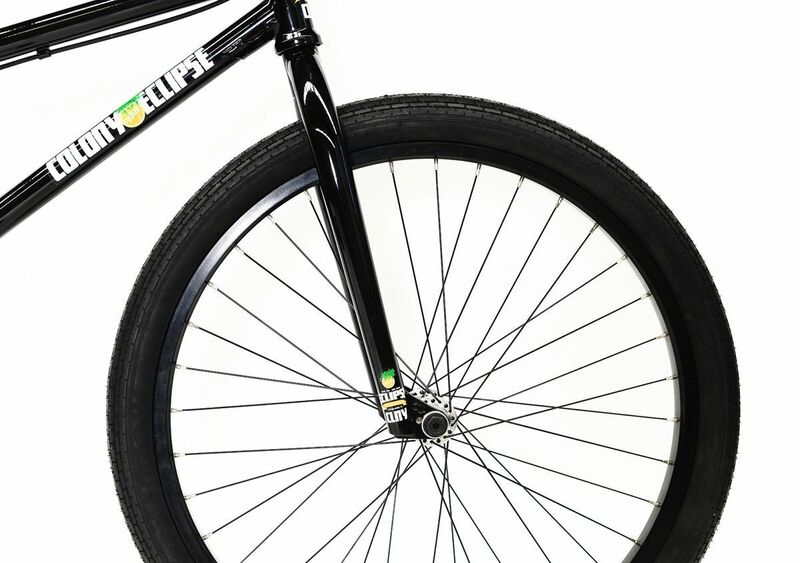 Before we get into all the nitty-gritty details, here are a few notables that stood out for me: the Eclipse features a 22″ top tube (yeah!) and a relatively steep head angle (at 75.2 degrees). Another interesting spec (if the parts list is correct…) is the use of 170mm cranks…perhaps to make bar-spin tricks easier? 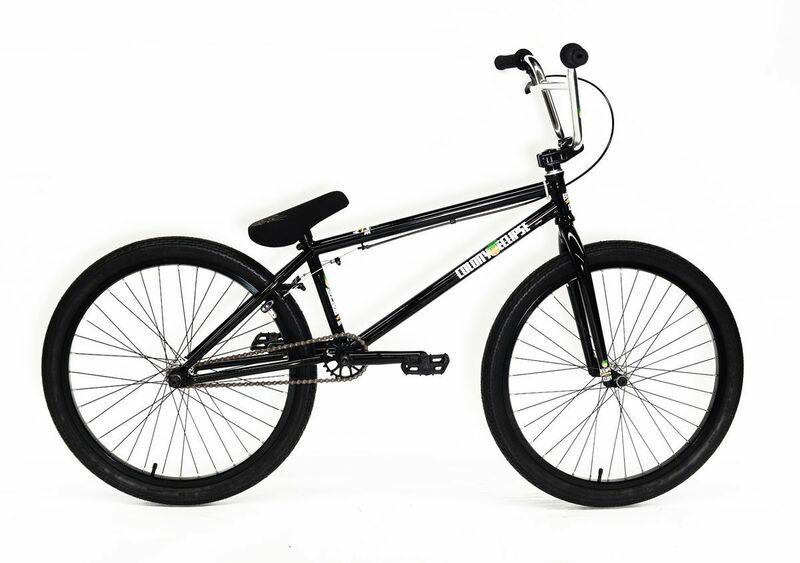 • Frame: Colony Eclipse Full CroMo, 22.0″ Top Tube, 14.5″ rear, 75.2 Head tube angle, 71 Seat tube angle. 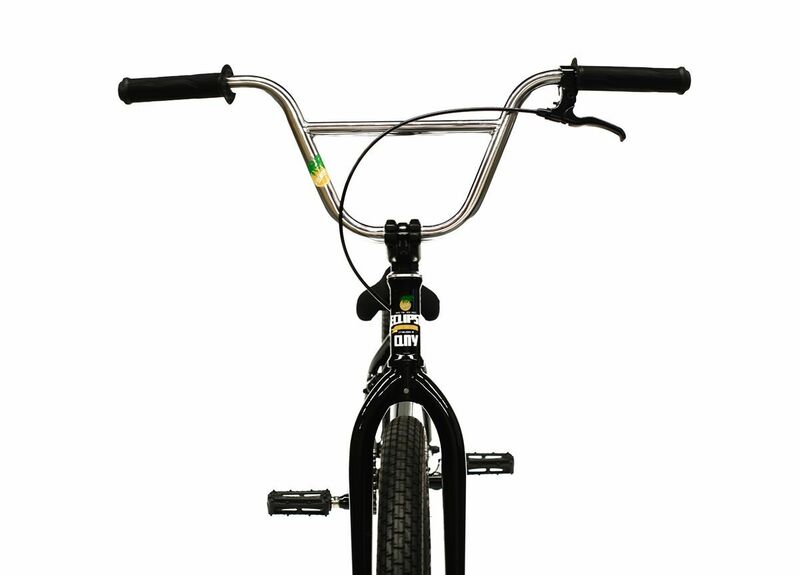 • Forks: Colony Full CroMo, tapered legs with one-piece CNC steer tube. It’s looks like a pretty solid complete to me. Colony BMX let the cat out of the bag a couple of days ago on Instagram. They’re releasing a new cruiser called the Eclipse 24. 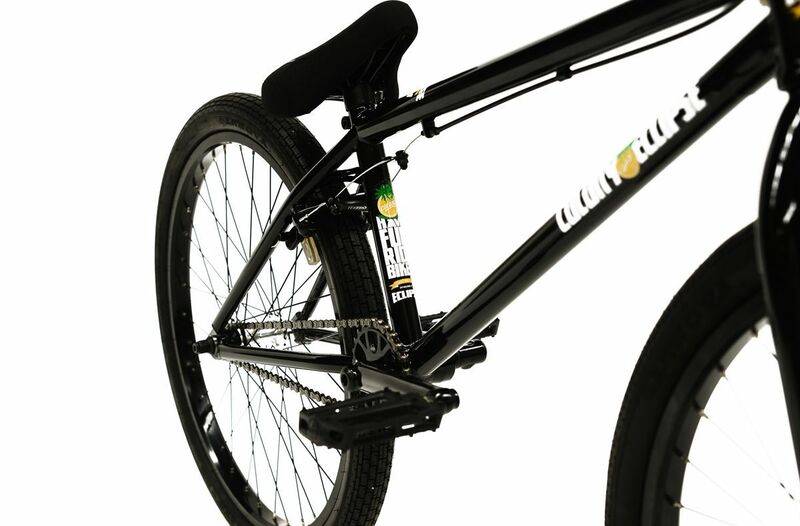 Full CrMo, full sealed everything, ready to cruise on or for those that want a bigger BMX for the dirt, park and streets. I’m looking forward to checking out the full spec list once it becomes available.